It can be difficult to trust a doctor after your child has suffered a brain bleed birth injury. However, it is important to find a doctor you trust to diagnose and treat your child so that your child can make as full a recovery as possible. This blog does not provide medical advice and does not replace the opinion of an educated and responsible physician. Instead, it is meant to provide you with some background information on newborn brain hemorrhages so that you can have an informed discussion with your child’s doctor and get your child the help he deserves. An early diagnosis is important so that prompt treatment can be provided to minimize the long term effects of the hemorrhage. Once the bleeding has been treated, additional treatment may be recommended to address any ongoing issues created by the bleeding. This could include, for example, physical therapy, occupational therapy, or speech and language therapy. The medical costs can be significant. The other costs, including future lost income, out-of-pocket expenses, physical pain and emotional suffering, can also be substantial. Therefore, in addition to working with a trusted doctor to address your child’s medical needs following a brain bleed, it is also important to contact an experienced birth injury lawyer to learn more about what you can do to protect your child’s financial recovery. 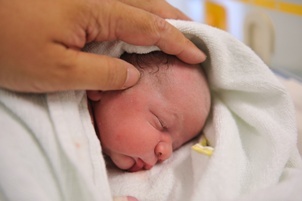 What kinds of damages can my child recover after suffering a brain bleed at birth?